Hamilton signed out a superlative season in style, winning in Abu Dhabi for his 11th victory in a blemish-free season. One of his best? It would be hard to argue against that sentiment. He has been on it for most of the season and the momentum is firmly in his corner heading into next year. As for Bottas – he endured a race to largely forget. A couple of sloppy laps cost him a podium and he trailed home a rather ignominious fifth. A case of what might have been, after some early season promise. "This has been a great year and I'm so thankful for so many things - for my health, for my team, for all the hard work everyone's done non-stop at the factory and on the road. I also want to say thank you to all the fans who've saved up and travelled and came to the races and those supporting us from home and who've been sending their positive energies and their prayers - a big, big thank you to everyone. This year has been a very uplifting experience for me. I wanted to come here and make sure that I left no stone unturned; the team did an exceptional job all year long, so I really wanted to deliver for them and end the season off strong. I think I was able to do that and I'm really grateful for all the support throughout the entire year. I've been able to be a better me all year long and I will continue to try to work on that and try to work on the energy that I'm projecting to people. I had a lot of fun in the car today - I love driving, I loved driving every minute today and I hope I have many more days to go." "It would have been nice to have a better ending to the season, but this race probably sums up the year pretty well - it started off well but then it went downhill from there. Everything felt pretty good in the beginning of the race, but then I had a lockup into Turn 5 and Turn 8 and lost some ground. I was struggling with the brakes and I also had a slow puncture after I my contact with Max, so I had to pit a second time. Max and I touched, it was proper battle and hard racing, but it was all fair. The last laps after the pit stop felt pretty long because I knew I couldn't gain any positions. This season didn't go the way I had hoped, so I'm actually quite happy that it's over. I will be pretty busy in the next couple of weeks, but I'm looking forward to a bit of a break in December and a fresh start in 2019. I will analyse everything from this season to come back stronger next year." "This has been an exceptional year for Mercedes motorsport - we've managed to clinch the title with Mick Schumacher in F3 and with George Russell in F2, we won the championships in DTM, in Esports and of course in Formula One. This year has been a highlight and I'm very happy we finished it on a high as well. It was a tough battle all season long and we had to push ourselves to the limit to win both championships. Lewis pushed to the very last race despite having won the drivers' title in Mexico. He's just so much a part of this team that the driver title alone felt incomplete to him; instead he wanted to deliver for the team, win the constructors' trophy and not take his foot of the throttle until the season was over. He drove another great race today and was in control on every single lap. Valtteri was struggling with the brakes today; we're still investigating the issue but we could see that the balance of his car was off. Valtteri had a tough season and I understand that he is disappointed - once the championship opportunity is taken away, it gets very difficult for a driver. He will take the winter to recharge his batteries and come back stronger next year." "A great result for the team. We came here to win, so it's fantastic to have achieved that objective. It's been our toughest year for a long time, Ferrari pushed us hard in both championships and we've been running at 100% on both the chassis and engine sides almost since the word go, so it's a relief to get to the end and immensely satisfying that we've managed to hang onto both championships for another year. 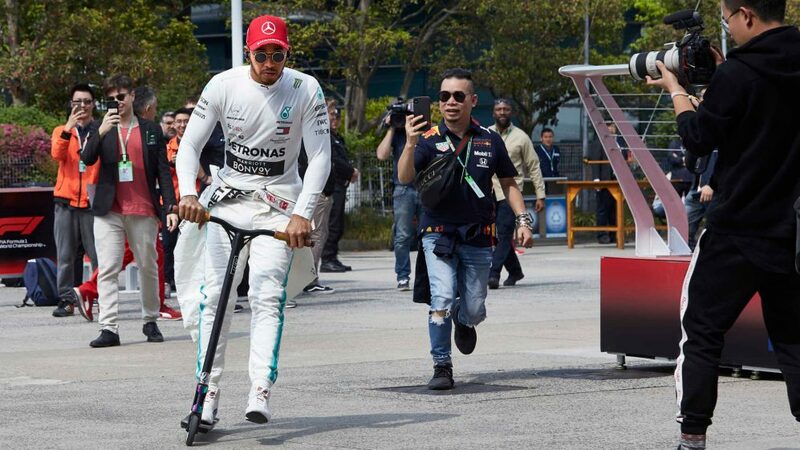 It was another great race from Lewis, he's not backed off one bit since winning the championship in Mexico and has worked as hard to win this race as every other race so well done on another deserved result. Valtteri had an issue during the race when he locked up at turn 5 and then lost positions. We'll have to a look into that to understand it as his race was all going to plan until that point and he was managing everything well. I'm sure Valtteri is looking forward to 2019, this year started well for him but he's had some cruel luck since Baku. He's been such an important part of the team through this year and we'll work hard over the next few months to make sure we can deliver him a reliable and fast car next year. I'd also like to thank Tony Ross for all his hard work over the last eight years. Tony will play a big part in our Formula E programme next year. He has contributed so much to the past five constructors championship, and Nico's driver's championship, so we will all be sad to see him go but happy we've had the chance to enjoy so much success together." Lewis Hamilton, Mercedes AMG F1 celebrates with the team at Formula One World Championship, Rd21, Abu Dhabi Grand Prix, Race, Yas Marina Circuit, Abu Dhabi, UAE, Sunday 25 November 2018. Valtteri Bottas, Mercedes-AMG F1 W09 EQ Power+ pit stop at Formula One World Championship, Rd21, Abu Dhabi Grand Prix, Race, Yas Marina Circuit, Abu Dhabi, UAE, Sunday 25 November 2018. Raikkonen’s final race for the Scuderia didn’t prove to have a fairy-tale ending, as the Finn retired early on with an electrical issue. He did, however, hold onto third in the championship. Vettel pounced on an ailing Bottas but lacked the pace to pressure Hamilton ahead and finished second, in what has rather been the story of his season. "I think today’s race sums up the year pretty well: a few ups and downs and in the end just being close, but not close enough. Today, I really tried to hang on as long as I could, but it was tough being behind Valtteri. I believe I was a little bit quicker, but it was very difficult to get close, especially in the last sector, until he had some issues and I managed to get past. We were strong in the straights and we had speed, but we were struggling in the last sector to keep up, especially in the last two corners. At one point, I had hopes of winning the race, so I was pushing as hard as I could, but in the end it was not enough. It has been a very intense year and I think we have to look at ourselves, as there are many things that we can do better and the potential this team has is still huge." "Obviously I’m a bit disappointed. It’s not the way we wanted this last race together to finish. We wanted to do well and I think we would have had a pretty good car for the job. Unfortunately we had an electrical issue; in the back straight, I felt I was lacking power and then everything shut down. It’s a pity but that’s how racing goes sometimes. It’s been a pretty decent season, but the four retirements were not in our plans and obviously did not help; we wanted more for sure. I want to thank all the Ferrari fans who always gave me a lot of support. We went through good and bad times together, and this makes it all the more interesting. Of course we wanted a better finish, but that’s part of the sport. 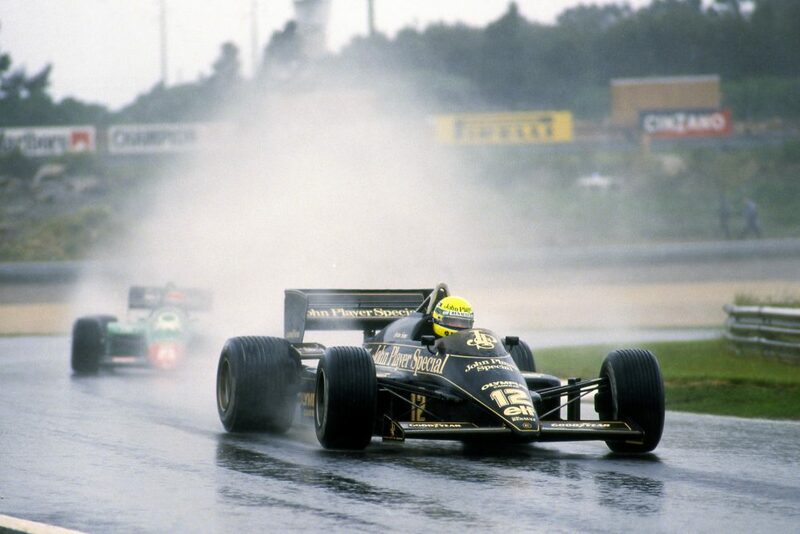 We will always have the memories of winning the drivers’ championship and two constructors' championships together." 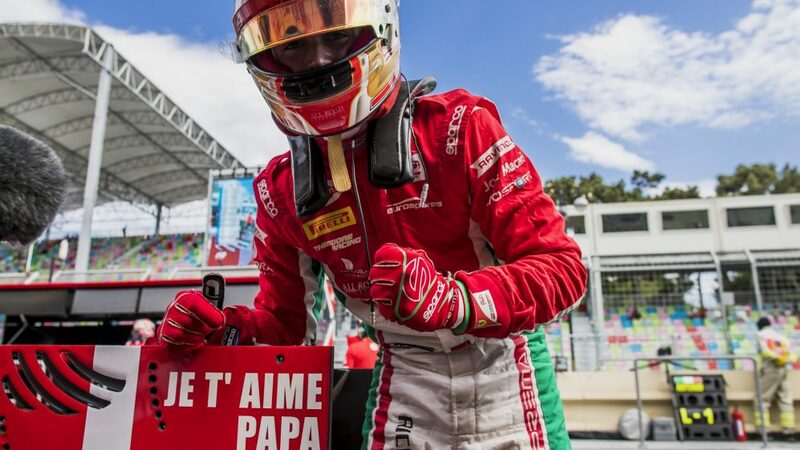 "Today’s result, a second place for Sebastian, along with the work of the entire team, means we have been able to finish the world championship with our drivers in second and third places. Kimi deserved a better result from today’s race, but the send off he was given by the guys, as he drove out of the garage was a lovely moment. As from Tuesday, we take part in the tyre test, which is the first step for next season and the entire team, both at the track and back in Maranello, will be giving their utmost once again in 2019. My heartfelt thanks goes to all of them, to our sponsors, our fans and customers, who have always supported us." Sebastian Vettel, Ferrari SF71H donuts at the end of the race at Formula One World Championship, Rd21, Abu Dhabi Grand Prix, Race, Yas Marina Circuit, Abu Dhabi, UAE, Sunday 25 November 2018. Verstappen lost ground at the start and had to fight back from tenth. He was behind a certain Force India for the early laps, and eventually barged his way past to set about chasing down the leaders. With a preferential strategy, he capped off an impressive season with a fifth straight podium. Ricciardo had looked the more likely of the two to be on the rostrum after making a good start and even leading for a number of laps, but his late pit stop gave him too much to do and he finished his final race for Red Bull in fourth. 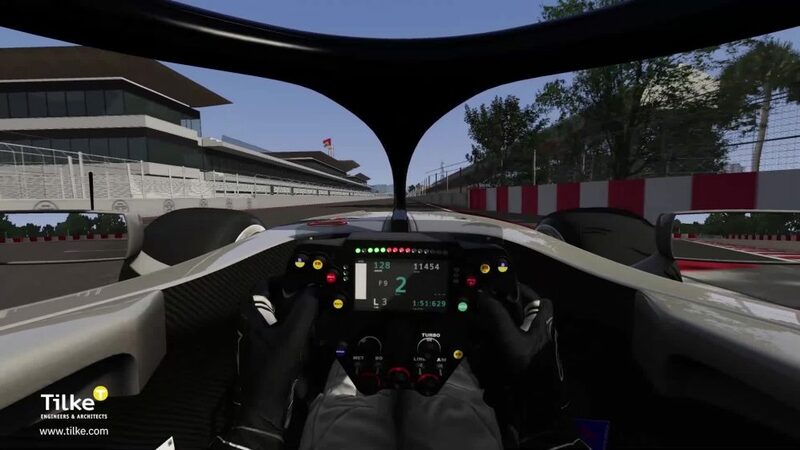 Hulkenebrg had a dramatic end to his season: Tipped into a barrel roll by Grosjean, the German wound up upside down against the barriers on the first lap. 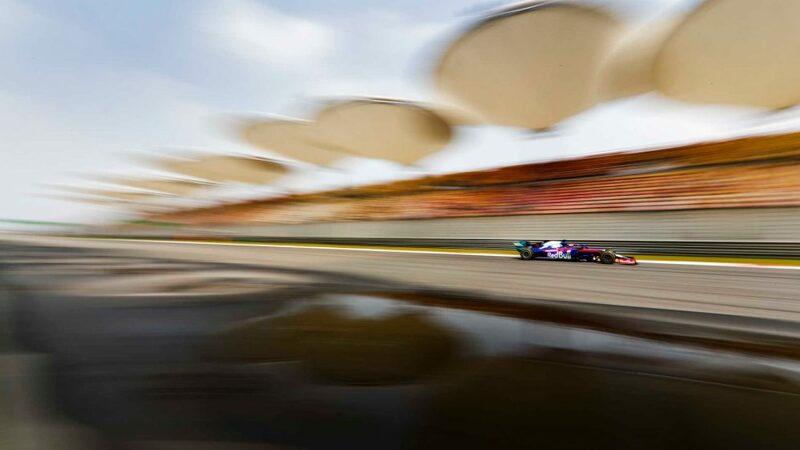 Fortunately, he escaped unhurt, despite complaining about “hanging like a cow.” Therefore it was left to Sainz to spare the team’s blushes and record some points which he duly did, finishing ‘best of the rest’ in P6. Nico Hulkenberg, Renault Sport F1 Team R.S. 18 and Romain Grosjean, Haas F1 Team VF-18 battle on lap one at Formula One World Championship, Rd21, Abu Dhabi Grand Prix, Race, Yas Marina Circuit, Abu Dhabi, UAE, Sunday 25 November 2018. Nico Hulkenberg, Renault Sport F1 Team R.S. 18 crashed and rolled on lap one at Formula One World Championship, Rd21, Abu Dhabi Grand Prix, Race, Yas Marina Circuit, Abu Dhabi, UAE, Sunday 25 November 2018. Medics and marshals assist Nico Hulkenberg, Renault Sport F1 Team R.S. 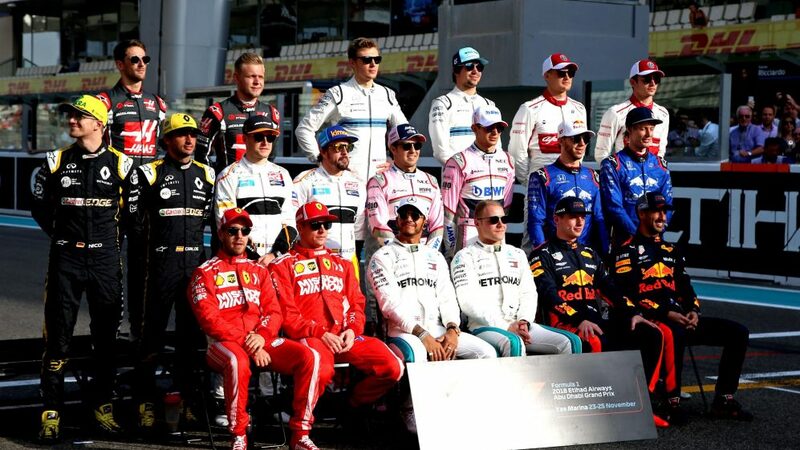 18 who crashed and rolled on lap one at Formula One World Championship, Rd21, Abu Dhabi Grand Prix, Race, Yas Marina Circuit, Abu Dhabi, UAE, Sunday 25 November 2018. Race retiree Nico Hulkenberg, Renault Sport F1 Team at Formula One World Championship, Rd21, Abu Dhabi Grand Prix, Race, Yas Marina Circuit, Abu Dhabi, UAE, Sunday 25 November 2018. Carlos Sainz, Renault Sport F1 Team R.S. 18 at Formula One World Championship, Rd21, Abu Dhabi Grand Prix, Qualifying, Yas Marina Circuit, Abu Dhabi, UAE, Saturday 24 November 2018. A mixed finish for Force India which rather summed up their season – some good, some bad. Both cars were fighting with Verstappen at one point, albeit ultimately with less drama than Brazil. Ocon was forced to retire late on with engine issues, finishing his season stranded in the pit lane. Perez did come home to secure some decent points and ensure Force India maintained their seventh place in the constructors’ standings. Esteban Ocon, Racing Point Force India VJM11 and Max Verstappen, Red Bull Racing RB14 battle at Formula One World Championship, Rd21, Abu Dhabi Grand Prix, Race, Yas Marina Circuit, Abu Dhabi, UAE, Sunday 25 November 2018. Esteban Ocon, Racing Point Force India VJM11 and Max Verstappen, Red Bull Racing RB14 at Formula One World Championship, Rd21, Abu Dhabi Grand Prix, Race, Yas Marina Circuit, Abu Dhabi, UAE, Sunday 25 November 2018. Esteban Ocon, Racing Point Force India VJM11 retires from the race at Formula One World Championship, Rd21, Abu Dhabi Grand Prix, Race, Yas Marina Circuit, Abu Dhabi, UAE, Sunday 25 November 2018. Sergio Perez, Racing Point Force India at Formula One World Championship, Rd21, Abu Dhabi Grand Prix, Race, Yas Marina Circuit, Abu Dhabi, UAE, Sunday 25 November 2018. With both drivers set to start their final race for McLaren it was always going to be emotional and so it proved. Vandoorne, having endured a lacklustre year, came alive today and was involved in an entertaining three-way tussle at one point in the midfield before fading on older tyres. Alonso meanwhile was applauded everywhere he went. 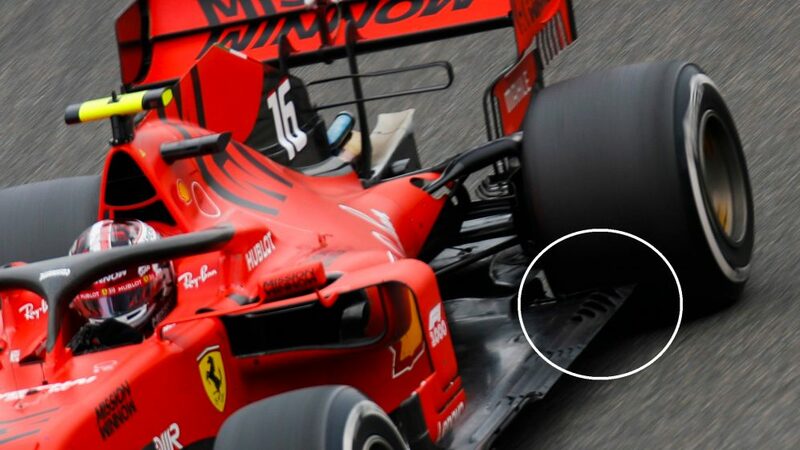 He couldn’t quite manage a last point – pointing out he already has over 1,800 and therefore one more wouldn’t matter - but did give the race his all and even earned himself a late penalty for repeatedly running straight through the chicane. Fernando Alonso, McLaren MCL33 donuts at the end of the race at Formula One World Championship, Rd21, Abu Dhabi Grand Prix, Race, Yas Marina Circuit, Abu Dhabi, UAE, Sunday 25 November 2018. Fernando Alonso, McLaren MCL33 celebrates in Parc Ferme at Formula One World Championship, Rd21, Abu Dhabi Grand Prix, Race, Yas Marina Circuit, Abu Dhabi, UAE, Sunday 25 November 2018. Leclerc finished in seventh, a good result but one that was tinged with bittersweetness, with an early pit stop losing him ground and probably sixth to boot. Nonetheless, an entertaining opening lap with Ricciardo showed his class and the idea of him in Ferrari colours next year is tantalising. Ericsson meanwhile bows out of F1 in disappointing style after his C37 gave up the ghost. Charles Leclerc, Alfa Romeo Sauber C37 at Formula One World Championship, Rd21, Abu Dhabi Grand Prix, Qualifying, Yas Marina Circuit, Abu Dhabi, UAE, Saturday 24 November 2018. Marcus Ericsson, Alfa Romeo Sauber C37 at Formula One World Championship, Rd21, Abu Dhabi Grand Prix, Race, Yas Marina Circuit, Abu Dhabi, UAE, Sunday 25 November 2018. Grosjean tangled with Hulkenberg at the start with rather worrying consequences in what the stewards deemed a racing incident. Carrying front wing damage, the Frenchman did well to come home ninth. 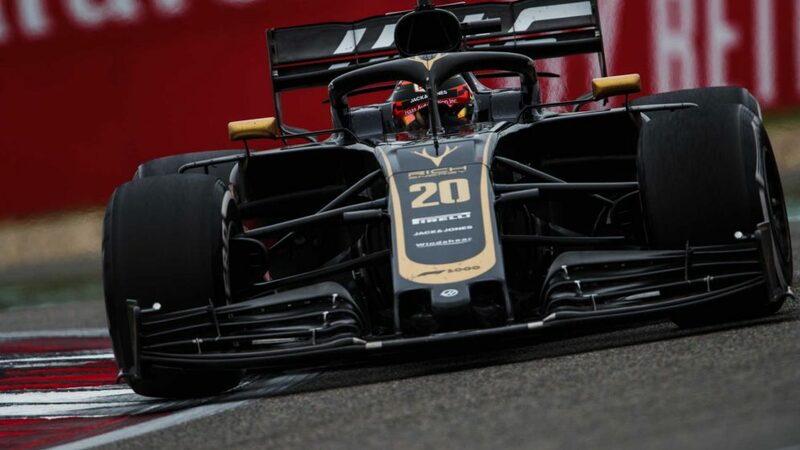 Magnussen was uncharacteristically quiet, running the longest opening stint to work his way up the field and grab the final point on offer in what is his best season to date. Romain Grosjean, Haas F1 Team VF-18 takes the chequered flag at Formula One World Championship, Rd21, Abu Dhabi Grand Prix, Race, Yas Marina Circuit, Abu Dhabi, UAE, Sunday 25 November 2018. Kevin Magnussen, Haas F1 Team VF-18 at Formula One World Championship, Rd21, Abu Dhabi Grand Prix, Race, Yas Marina Circuit, Abu Dhabi, UAE, Sunday 25 November 2018. 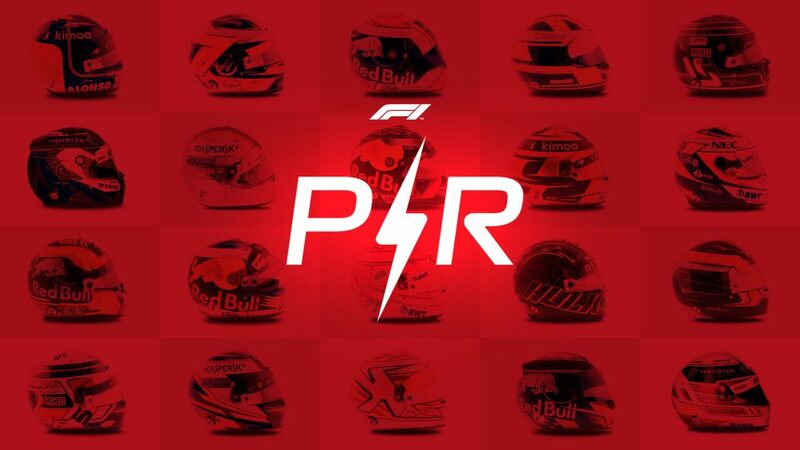 Hartley pitted for a new front wing at the start after getting caught up in the melee and was always compromised from there – not helped by his collision with the barriers on lap four with no one in sight. Gasly made an electric start, ran in the points for much of the race before his Toro Rosso started dropping oil. He left a fair amount on the racing line before parking up and ending his season in a cloud of smoke. Pierre Gasly, Toro Rosso STR13 and Brendon Hartley, Toro Rosso STR13 at Formula One World Championship, Rd21, Abu Dhabi Grand Prix, Race, Yas Marina Circuit, Abu Dhabi, UAE, Sunday 25 November 2018. Brendon Hartley, Toro Rosso STR13 at Formula One World Championship, Rd21, Abu Dhabi Grand Prix, Race, Yas Marina Circuit, Abu Dhabi, UAE, Sunday 25 November 2018. What can you say? A poor season, last in the constructors’ and with very few positives to report. Stroll and Sirotkin both make way for 2019 and the team will hope a new driver line-up brings a breath of fresh air to Williams, who badly need to bounce back next season. "It was a really bad race. I didn’t get the best start and straight away I lost a lot of ground and wasn’t in the best position for the next sequences of corners. I had problems with the car overheating so for one third of the race I had to do massive cooling. It was such a painful race, such a painful stint. I was trying my best to cool it down as quick as I could but as other cars pitted and came out behind me, I tried to fight, protect and cool the car at the same time and it was a mess. I didn’t enjoy it. It has been a very, very painful race. I really wanted to enjoy it and it’s just so painful to finish the season like this." "I was very pleased with the start and the race in general and happy with my performance, but it was another one of those races where we just didn't have enough pace to pick up points. It was challenging, but I thought for the package we had it was a good race and I am happy to have been fighting with the McLarens and to have finished in front of one of them. We went really long in the first stint, which was good, but the wind picked up a little bit in the second stint and really impacted the performance of the car on the ultrasoft tyre, so I went downhill from there. Now I shall recharge my batteries as it has been a long year." "That brings an end to an incredibly long season and a very difficult one for the team, possibly the most difficult in its history. We see this as a year of transformation; the team has stuck together through some very difficult periods, and this will bring us back even stronger in the future. Thank you to Lance and Sergey for staying level and professional throughout, and especially to the team in the garage. 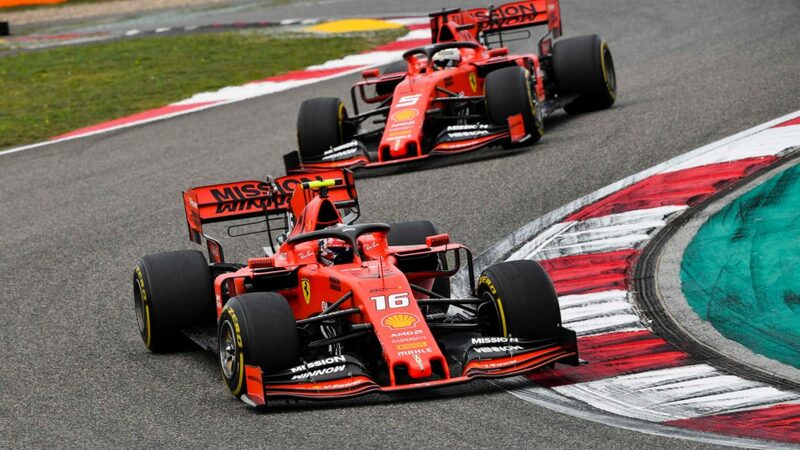 It’s the same hard work whether you’re winning or losing, and they’ve stuck together and continued to win fastest pitstop awards in amongst our general poor car performance. It’s a great team spirit and that will sustain us and support us in the winter to come back fighting next year." Lance Stroll, Williams FW41 and Charles Leclerc, Alfa Romeo Sauber C37 battle at Formula One World Championship, Rd21, Abu Dhabi Grand Prix, Race, Yas Marina Circuit, Abu Dhabi, UAE, Sunday 25 November 2018. Sergey Sirotkin, Williams Racing at the Williams Racing Team Photo at Formula One World Championship, Rd21, Abu Dhabi Grand Prix, Race, Yas Marina Circuit, Abu Dhabi, UAE, Sunday 25 November 2018.